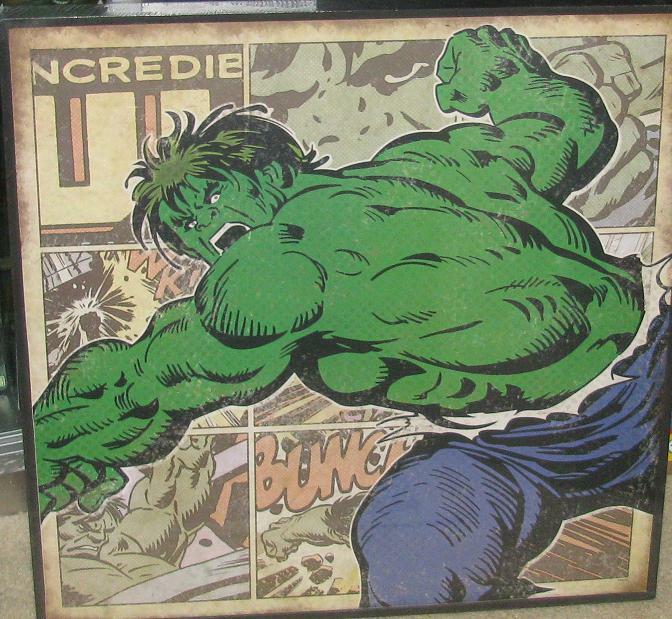 I came across a few Hulk prints that were printed on canvases. 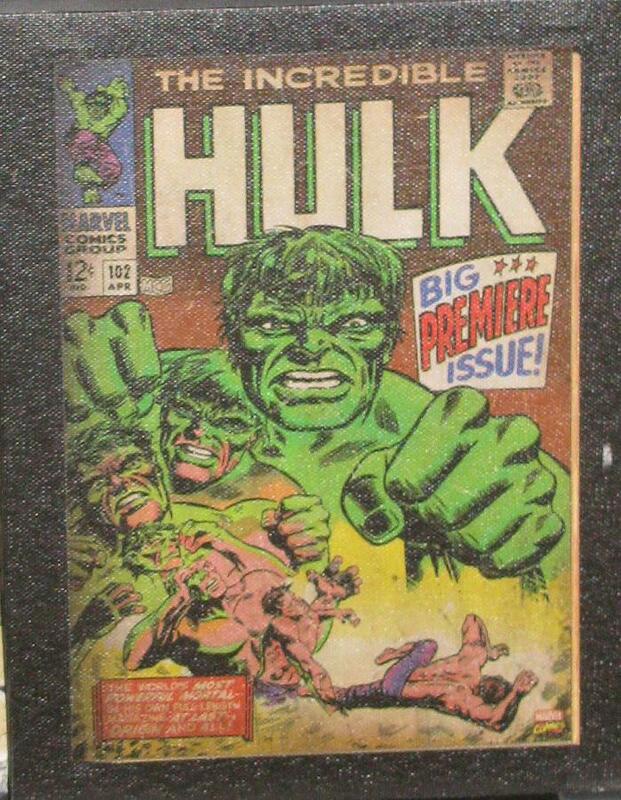 The smallest (the cover to #102) was found at WalMart, given to me by a friend who actually shops at that horrible big box store. It is quite small too – it’s about the size of the Catcher in the Rye paperback I was given in school to read. The next two were found at Hobby Lobby that were being clearanced out. The original retail for the largest was $60 which I thought was way too much. I just couldn’t see myself paying that much for a mass produced piece of art – but 70% off made the purchase a no brainer! Also, the smaller was on clearance but I can’t remember the price. It’s made to look scratched up – giving it a sort of antique look I’m guessing – but I’m not as much of a fan of the look on the art here. 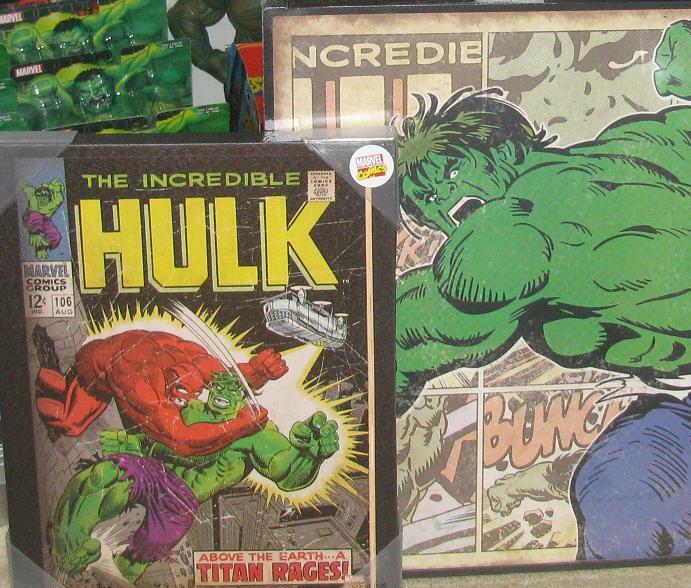 Either way, when I am done remodeling the Hulk room these three pieces will make it on the wall. Pics will follow! There is quite a bit I need to update on this site, I know it to be true, but with two kids I hardly have time to post! Many of you who follow this blog know that long hiatuses are common place. It’s not that I want them to be – it’s just how it is for now. I spent this year’s Free Comic Book Day in New Jersey helping my good friend Corry Brown handle the crowds at his shop, Zapp Comics, where he had a huge crowd lined up before the doors even opened up. He had a talented man named Nick Justus doing free sketches and I asked him for a Captain America for my daughter. When he handed it over I was floored at the quality of his work! Remind me to get a shot of that Cap to show you guys – my daughter is sleeping right now so I’m not going to risk waking her up – but then I asked him to draw me a Hulk. 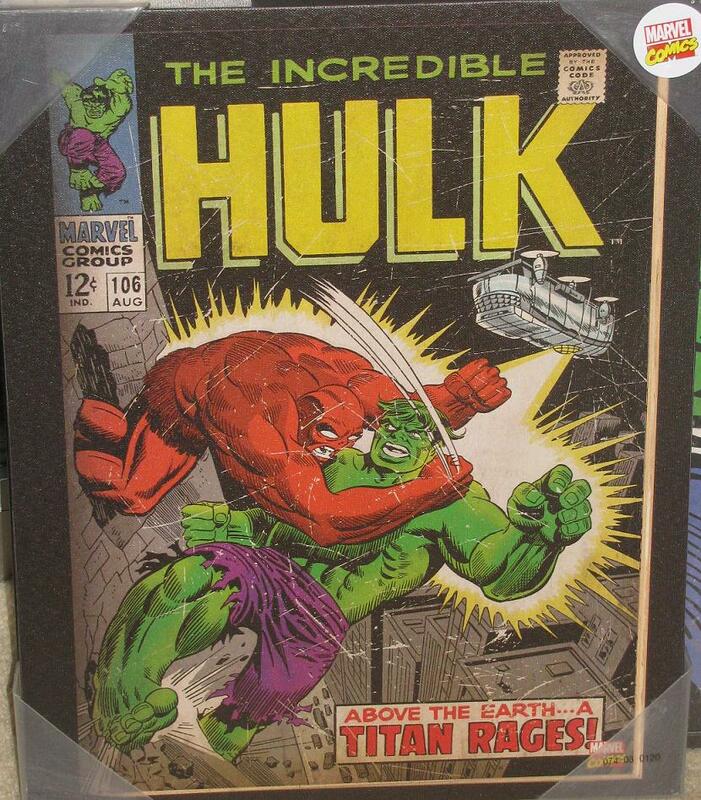 He agreed and delivered a Buscema inspired raging Hulk! 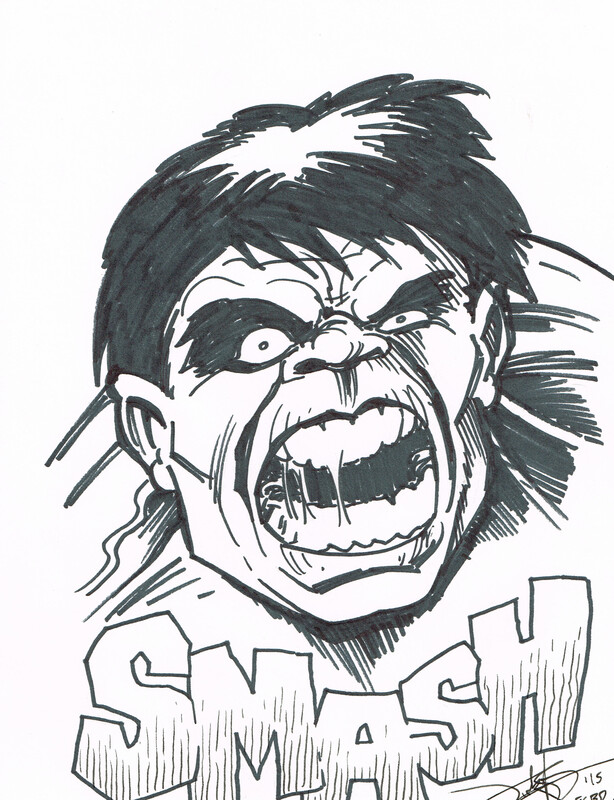 Nick was able to capture the anger of the Hulk in a way that I’ve not seen some Hulk artists do! Look him up and friend him on Facebook! He’s worth knowing! Talented and super friendly guy! Well, my summer has flown by. So sorry this site has taken a hiatus – but at this point some of you readers are used to it! Anyways, while reading Marvel’s The End these past week I was in for a hilarious treat when reading the final issue of this Starlin mini-series. 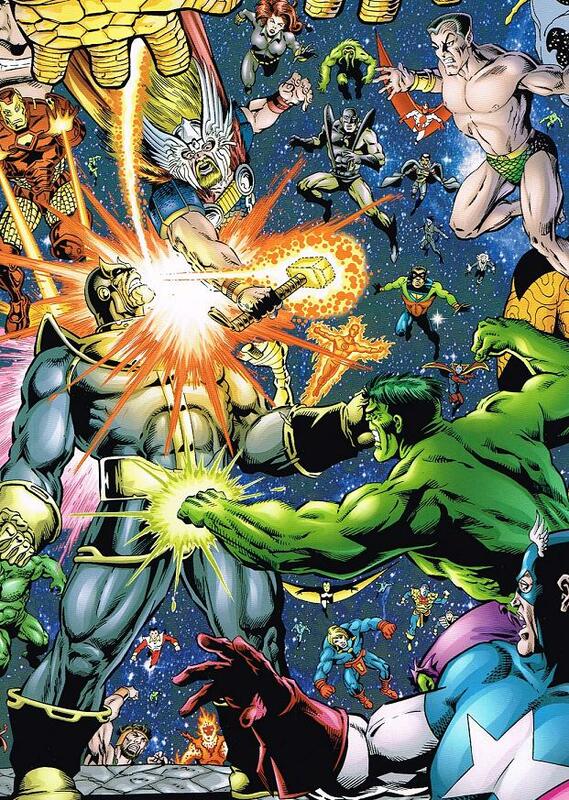 After Thanos had, once again, achieved God-like status, this time more power than he has ever acquired before, the Hulk welcomed him into this state by hauling off and nailing him right in the naughty beans. A classic moment from our favorite emerald giant!